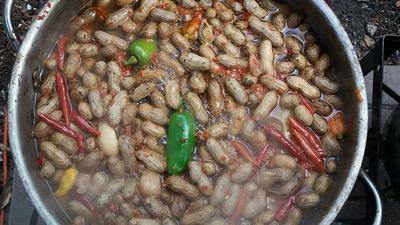 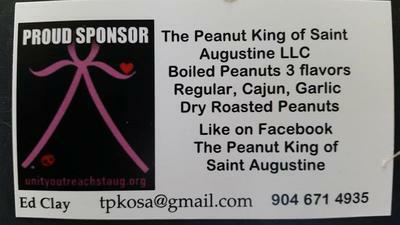 The Peanut King of Saint Augustine gives 10% of his profits to Unity Outreach to help pay for mammograms for uninsured and accepts cash or credit donations which all go to help Unity Outreach. 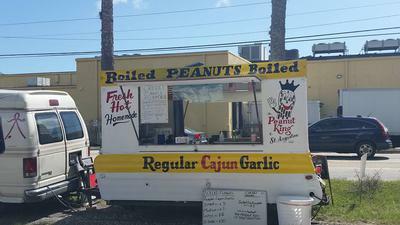 So stop by, get some peanuts and support a worthy cause. 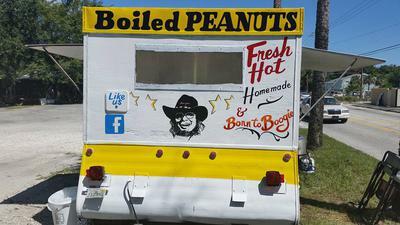 Open 11am - 4pm Wednesday,Thursday, Friday at Everything Cool Home Decor 90 South Dixie Hwy & Saturday and Sunday at Tractor Supply 3345 US-1.